Knights of Creativity Spirit & Ale: The debate lives on. One of the greatest advertising campaigns in history was the famous “Great taste, lessing filling” ad for Miller Lite. 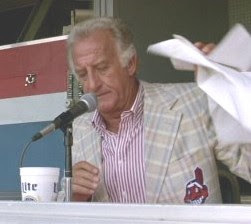 For years, Miller Lite drinkers, including notables like comic Rodney Dangerfield, football coach John Madden, and baseball legend (for being mediocre) Bob Uecker bickered back and forth. Some said the drink tasted great. Others said it was less filling. Was it a successful campaign? You bet your beer foam it was. According to Wikipedia, Advertising Age magazine has that campaign as the 8th best advertising campaign in history. In the prime of the campaign, television commercials typically portrayed a Miller Lite drinker noting its great taste followed by another who observed that it was less filling. This usually led to a parody of Wild West saloon fights in which every patron got involved in the dispute for no real reason, though in this case it was always a shouting match, and blows were never thrown. The campaign was developed by the ad agency of McCann-Erickson Worldwide. Well, now we’ll have a chance to debate again. MillerCoors LLC is reviving its "Great taste, less filling" tagline, which was created more than 30 years ago. The company says that the tagline will appear starting Sept. 1 in revised TV spots of last year's "More Taste League," an advertising campaign that airs during football (real football, not Football Lite – a.k.a. soccer) season. All national Miller Lite radio spots immediately will start using the "Great taste, less filling" tags, the company said. Marketing materials in stores will feature the slogan as well. As our merry band of Knights grows, we must recognize that we will have a loyal contingent of lite beer drinkers (unity through diversity -- even diversity lite). Why? Great taste, of course. Or, is it less filling? I will concede the reasoning that we will have members who only know a beer that tastes like Horse Piss; however, I will have to vote for the less filling because it doesn't taste great. Hmmmm i'd like to have been in that Ad Campaign Meeting... How can we get people to buy more of our beer..?? make it less filling!!! you can drink a gallon and a half of the stuff and feel like you've just stepped in the bar....like youre ready for the next gallon. Yummy. new slimmer you... lol great fun..
actually it reminds me of an english beer drinkers T-shirt i saw the other night for Hobgoblin beer....where a gremlin like Hobgoblin was pictured proffering a foaming pint of dark brew, and the caption was " what's the matter lager-lite boy....frightened you might taste something???" Black, White, Green, Red, Harry Chapin, and Life! Can't We all Get Along? Yes, We Can! But The Real Beauty is Still Within! “The beer that made Milwaukee famous” is back!